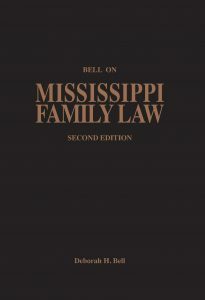 Bell on Mississippi Family Law (Second Edition) is a revised, updated and expanded 808-page treatise on Mississippi Family Law. with the year's new developments. Price $80. 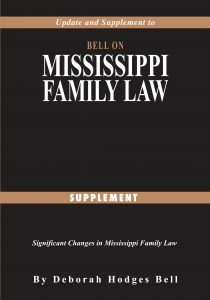 For discounted, annual standing orders, email cchiles@nautiluspublishing.com.